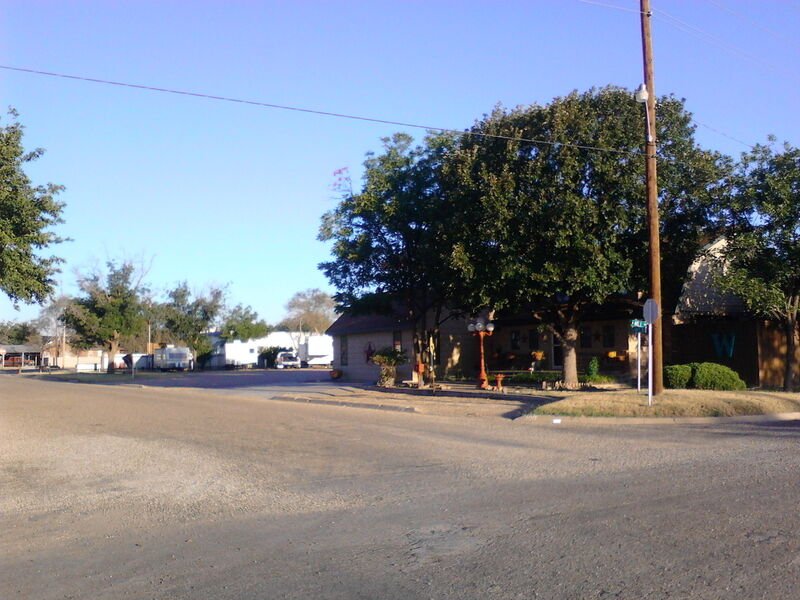 Woods RV Park in Post, Texas is a small RV Park with 6 back-in slots, each with full-hook-ups, located on Highway 84 just north of downtown. Within walking distance are the grocery store, a big named hamburger spot, specialty shops, art museum, theater and more. It was quiet, neat and clean, although there were no other amenities on-site, the town is small so nothing is far away. The owners, Dave and Trena are friendly, helpful and informative about the local sites of interests. Dave shared stories about famous and infamous incidental historic happenings over the years in Post. He was born and raised there and can tell a story in the most interesting way. I think that Dave knows everyone in town and everyone in town knows him! We paid $25 for 50 AMP full service hook-ups. We were only able to stay three nights, but that was all that we needed for this trip. We would likely go out of our way to return to this little city and RV Park. It was that enjoyable to visit Post and to listen to Dave’s stories. He should write a book!